Parker produced 28 points (11-18 FG, 3-5 3Pt, 3-4 FT), six rebounds, three assists, two blocks and a steal over 38 minutes in the Wizards' loss to the Bulls on Wednesday. Parker led his team in scoring for the second straight game, and he added some quality stats across the board. 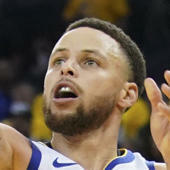 His recent play has made him an extremely valuable fantasy player, with averages of 18.3 points, 7.8 rebounds and 2.3 assists over his last nine games.